To End All Wars: The Graphic Anthology of The First World War is a striking and welcome work in the current climate, as it makes a sincere effort to bring a critical view of World War I to a wide audience. It is a graphic anthology, presenting 26 separate stories (by 53 artists), with an eye towards the popularity of comics among young people who are otherwise taught little about the reality of war. Each comic is factually based and deals with a specific element or episode of the 1914-1918 conflict; each is creatively developed to bring the subject matter to life. The stories reveal the experiences of soldiers, sailors, victims of colonialism, nurses, civilians, journalists, propagandists and others. Stories involving military personnel bring out not only the cruelty of the conflict, but also the absurdity, dark humor and human drama that took place. Many of the artists and writers who contributed works come from Britain, but there is work as well from artists in Ireland, Indonesia, Spain, Greece, Argentina, the US and elsewhere—13 countries in all. This results in a wide variety of styles and approaches. Certain artists chose very light and cartoon-like visuals, while others used highly detailed and representational images. Many drawings were done with pen and ink (hand drawn or digital), but a few artists adopted a more painterly approach. Notably, the curatorial approach of the anthology is focused on the need for meaningful and appealing art that counteracts the current effort by politicians, the media and many academics to rehabilitate and legitimize the slaughterhouse of World War I, which produced some 16 million dead and 20 million wounded. The introduction by Pat Mills discusses the “Very British Lie,” currently being circulated, which maintains that the conflict was a noble and just war waged by Britain in defense of democracy. The WSWS has written a number of times in the past few months on this campaign, and has noted similar trends in Canada and Australia as well. The editors of To End All Wars rightly identify the efforts to rehabilitate World War I as attempts as well to silence criticism of more recent predatory wars (Afghanistan, Iraq) and prepare youth to participate in new ones. Editor John Stuart Clark wrote and drew the first comic in the anthology, “The Iron Dice.” It is crucial to the work, as it addresses the issue of overall responsibility for the criminal war. Concretely, it presents a scenario in which the leaders of the various war powers appear before the International Criminal Court, while a global audience of injured and ghastly World War I veterans demands the defendants explain to the world how such a calamity came about. Several of the comics offer exceptional combinations of artwork and narrative. “The Coward’s War,” with art by Matt Soffe, is so strikingly illustrated that each panel demands to be viewed on a much larger scale. The medium is hard to pinpoint; it has characteristics of pastel, watercolor and digital illustration, which blend beautifully together. “Dead in the Water” is perhaps the most striking and dramatic comic in the anthology; its story and visuals combine harmoniously. The comic begins with the British high command sneeringly dismissing the threat that the new German U-boats present to the “mighty British Navy.” Meanwhile, three British ships are cruising the North Sea when spotted by U9, a German U-boat, which quickly sinks all three ships without suffering any damage itself. The torpedo strikes kill 1,459 British sailors, who are shown fighting to stay above water amid wreckage through frenetic line work and the haunting representation of the faces. Other comics in the anthology might have ended here, but a turn of the pages reveals one of the more memorable images in the book—a large image of the U-boat captain that breaks the bounds of panels to show both the official German celebration of the slaughter and the captain’s own distress over witnessing the drowning sailors. Juxtaposition and contrast are used to excellent effect in the two-page spread, while later pages show the tragic climax of his dilemma as a participant in the violence. A significant inclusion in the anthology is Colm Regan’s “No More Than Cattle , ” set in Nyasaland, a British colonial protectorate in southern Africa, now Malawi. In its short format, the comic provides historical background about colonial oppression in the region and then briefly explains the social structure existing during the war. Africans already facing daily oppression on agricultural estates were forced to become the labor force of European armies on the continent under predictably brutal conditions. The story follows one example, on the massive A.L. Bruce estate in Magomero district, where the absurdity of dying for the colonial empires pushes social antagonisms to the breaking point. A letter from a local Christian pastor, John Chilembwe, opposing African involvement in the war, is censored by a British-run newspaper. Meanwhile, workers on the estate rebel and kill an estate manager and a storeowner. Chilembwe and others flee to Mozambique as the British respond with mass killings, 36 executions and lengthy prison sentences. Colonial rule persists, but opposition to British rule is clearly established. The story brings valuable history to light. More could be said about other works, which offer varying degrees of intriguing subject matter and imagery, but space is limited. One general element missing in the work, however, with a few exceptions, is any effort to provide a broader, socio-historical explanation of how the war began and how it ended. For example, “The Iron Dice” puts the rulers of Europe on trial, but a significant reality making the launching of war possible was the collapse of Social Democracy, the official mass leadership of the working class, which had sworn to oppose such an eventuality. The parties of the Second International in Germany, France and elsewhere voted for war credits and lined up with their own ruling elite and military against the populations of other countries, enabling the bloodbath to take place. None of the comics explores this complex but critical factor. Overall, in any event, To End All Wars is a powerful reply to those who now seek to rewrite the history of the First World War to hide its reactionary and imperialist character. Over the course of its 326 pages, readers will find a number of moving stories and images—and plenty of parallels to the sinister lies and machinations of the great powers today. Last Sunday, Spanish Prime Minister Mariano Rajoy participated along with other heads of government in the official march in Paris in defence of “freedom of speech” following the terrorist attack against Charlie Hebdo. His attendance was the height of hypocrisy. As minister of justice under Prime Minister José María Aznar (1996-2004) Rajoy closed down two Basque newspapers. He now leads a right-wing Popular Party (PP) government that is using every opportunity to clamp down on democratic rights. The PP has used the latest attack on Charlie Hebdo to introduce new amendments to two pieces of legislation going through congress: the Citizens Security Law and the Criminal Procedure Code (CPC). Rajoy has summoned a “highest level” meeting with the Socialist Party (PSOE), the main opposition party, to reach an agreement on the changes. In other words, anyone who accesses web sites deemed to be supporting terrorism could find themselves in prison. This is only one of the new changes in the CPC by the PP government. Another, prepared before the attacks, will legitimise mass surveillance. The police and security services will be able to tap mobile phones and intercept electronic communications without the authorisation of a judge, use false identities on the Internet, plant electronic surveillance devices and collect the DNA of arrested persons without their consent or that of a judge and without a lawyer being present, and install software to extract information from someone’s computer. The circumstances in which this will be allowed are so broad that it could be applied to everyone. The law, which is opposed by 82 percent of Spaniards, is an attempt to prevent and suppress mass demonstrations, which are not controlled by the establishment parties and trade union bureaucracy. The government is also using the attack in Paris to force through another article, which would allow the Interior Ministry to compile an airline passenger database. Spain is discussing with other European states to implement this database similar to that which already exists in the United States, Canada and Australia. Spain has been preparing this legislation since December 2013, but was delayed due to the opposition of the Committee of Civil Liberties, Justice and Home Affairs linked to the European Parliament, which considered such a law as a violation of the civil rights of airline passengers. The new database, which is being introduced in several other European countries, will include more than the current passport information—the date the flight was booked; the date of intended travel; the full itinerary plans; address, phone number and email of the passenger; how they paid for the ticket (cash or credit card); how frequently they travel, whether they are alone or accompanied and have luggage or not; which agency processed the tickets; data on passenger boarding; trip cancellation; number of seats to be filled on the plane. The police will have access to all of this data. On the same day Rajoy was marching in Paris in supposed defence of freedom of speech, High Court Judge Javier Gómez Bermúdez allowed a criminal complaint to be filed against Spanish satirist Facu Díaz by the terror victims association, Dignity and Justice, an organization closely aligned with the hard-liners within the Popular Party. In a three-and-a-half minute sketch broadcast during his comedy show in October, Díaz appeared dressed up as a balaclava-wearing member of the Basque separatist group ETA but with PP logos in the background. The satirist then announced that the PP was going to dissolve itself because of the hundreds of corruption cases linked with the party. The government has been aided and abetted by the media, which has helped whip up an atmosphere of Islamophobia to force through these anti-democratic measures. Contrary to what Prados claims, workers and youth have repeatedly demonstrated their readiness to oppose attacks on democratic rights, such as the mass protests against the current Citizens Security Law. Spanish workers remember vividly how the PP under former Prime Minister José María Aznar attempted to use the Al Qaeda attacks in Madrid on March 11, 2004, to blame ETA in order to deflect attention from what many viewed as the consequences of the decision of Aznar to support the US-led war in Iraq in 2003, which 90 percent of the population opposed. According to a survey by the El Instituto Elcano, a think tank closely aligned with Spanish foreign policy, only 45 percent support the participation of Spain in the war against ISIS in the Middle East. Felix Arteaga, senior analyst of the same institute, is forced to admit that even this claim is “very high taking into account the idiosyncrasy of Spanish strategic culture”, i.e., the general anti-militarist sentiment. The current promotion of Islamophobia by the media and especially El País, which for decades since the transition from the fascist dictatorship of Franco to bourgeois democracy projected itself as the progressive newspaper, is a sign of deep crisis in capitalist rule and a shift to the right in Spanish and European politics. The Spanish political establishment, having failed to instigate mass xenophobic sentiments and scapegoating immigrants for the capitalist crisis amongst the working class, aims at reversing this situation. Beset by unemployment at 24 percent, and 53 percent among youth and poverty levels affecting a quarter of the population, it is seizing the attack in Paris to legitimize police state measures to impose more austerity on the working class. Historically, one of the main threads of U.S. foreign policy was called “realism,” that is the measured application of American power on behalf of definable national interests, with U.S. principles preached to others but not imposed. Prominent neocon intellectual Robert Kagan. However, in modern times, foreign policy “realism” slid into an association with a cold calculation of power, no longer a defense of the Republic and broader national interests but of narrow, well-connected economic interests. The language of freedom was woven into a banner for greed and plunder. Liberty justified the imposition of dictatorships on troublesome populations. Instead of searching for monsters to destroy, U.S. policy often searched for monsters to install. 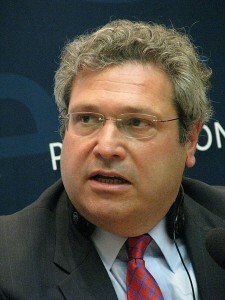 In the wake of such heartless actions – like imposing pliable “pro-business” dictatorships on countries such as Iran, Guatemala, Congo, Indonesia, Chile and engaging in the bloodbath of Vietnam – “realism” developed a deservedly negative reputation as other supposedly more idealistic foreign policy strategies gained preeminence. In recent years, as the ranks of the “realists” – the likes of George Kennan, Henry Kissinger and Brent Scowcroft – have aged and thinned, the ranks of the neocons and their junior partners, the liberal interventionists, swelled. Indeed, these “anti-realists” have now grown dominant, touting themselves as morally superior because they don’t just call for human rights, they take out governments that don’t measure up. The primary distinction between the neocons and the liberal interventionists has been the centrality of Israel in the neocons’ thinking while their liberal sidekicks put “humanitarianism” at the core of their world view. But these differences are insignificant, in practice, since the liberal hawks are politically savvy enough not to hold Israel accountable for its human rights crimes and clever enough to join with the neocons in easy-to-sell “regime change” strategies toward targeted countries with weak lobbies in Washington. In those “regime change” cases, there is also a consensus on how to handle the targeted countries: start with “soft power” – from anti-regime propaganda to funding internal opposition groups to economic sanctions to political destabilization campaigns – and, then if operationally necessary and politically feasible, move to overt military interventions, applying America’s extraordinary military clout. But the reality about these “anti-realists” is that their actions, in real life, almost always inflict severe harm on the country being “rescued.” The crusade kills many people – innocent and guilty – and the resulting disorder can spread far and wide, like some contagion that cannot be contained. The neocons and the liberal interventionists have become, in effect, carriers of the deadly disease called chaos. And, it has become a very lucrative chaos for the well-connected by advancing the “dark side” of U.S. foreign policy where lots of money can be made while government secrecy prevents public scrutiny. And the consolidation of this wealth has further cemented the political/media influence of the “anti-realists,” as the new “oligarchs” kick back portions of their taxpayer largesse into think tanks, political campaigns and media outlets. The neocons and their liberal interventionist pals now fully dominate the U.S. opinion centers, from the right-wing media to the editorial pages (and the foreign desks) of many establishment publications, including the Washington Post and the New York Times. By contrast, the voices of the remaining “realists” and their current unlikely allies, the anti-war activists, are rarely heard in the mainstream U.S. media anymore. To the extent that these dissidents do get to criticize U.S. meddling abroad, they are dismissed as “apologists” for whatever “monster” is currently in line for the slaughter. And, to the extent they criticize Israel, they are smeared as “anti-Semitic” and thus banished from respectable society. Thus, being a “realist” in today’s Official Washington requires hiding one’s true feelings, much as was once the case if you were a gay man and you had little choice but to keep your sexual orientation in the closet by behaving publicly like a heterosexual and surrounding yourself with straight friends. In many ways, that’s what President Barack Obama has done. Though arguably a “closet realist,” Obama staffed his original administration with foreign policy officials acceptable to the neocons and the liberal interventionists, such as Robert Gates at Defense, Hillary Clinton at State, Gen. David Petraeus as a top commander in the field. Even in his second term, the foreign-policy hawks have remained dominant, with people like neocon Assistant Secretary of State for European Affairs Victoria Nuland enflaming the crisis in Ukraine and UN Ambassador Samantha Power, an R2Per, pushing U.S. military intervention in Syria. I have personally watched today’s foreign-policy pattern evolve during my 37 years in Washington — and it began innocently enough. After the Vietnam War and the disclosures about bloody CIA coups around the globe, President Jimmy Carter called for human rights to be put at the center of U.S. foreign policy. His successor, Ronald Reagan, then hijacked the human rights rhetoric while adapting to it to his anticommunist cause. Because Reagan’s usurpation of human rights language involved support for brutal right-wing forces, such as the Guatemalan military and the Nicaraguan Contra rebels, the process required an Orwellian change in what words meant. “Pro-democracy” had to become synonymous with the rights and profits of business owners, not its traditional meaning of making government work for the common people. The goal of the young neocons inside the Reagan administration – the likes of Elliott Abrams and Robert Kagan (now Victoria Nuland’s husband) – was to line up the American public behind Reagan’s aggressive foreign policy, or as the phrase of that time went, to “kick the Vietnam Syndrome,” meaning to end the popular post-Vietnam resistance to more foreign wars. The point is not that the targeted leader may not be an unsavory character. Frankly, most political leaders are. Many Western leaders and their Third World allies – both historically and currently – have much more blood on their hands than some of the designated “monsters” that the U.S. government has detected around the world. The key is the image-making. What makes the process work is the application and amplification of double standards through the propaganda organs available to the U.S. government. The compliant mainstream American media can be counted on to look harshly at the behavior of some U.S. “enemy” in Venezuela, Iran, Russia or eastern Ukraine, but to take a much more kindly view of a U.S.-favored leader from Colombia, Saudi Arabia, Georgia or western Ukraine. While it’s easy – and safe career-wise – for a mainstream journalist to accuse a Chavez, an Ahmadinejad, a Putin or a Yanukovych of pretty much anything, the levels of proof get ratcheted up when it’s a Uribe, a Saudi King Abdullah, a Saakashvili or a Yatsenyuk – not to mention a Netanyahu. But here is the dark truth about this “humanitarian” interventionism: it is spinning the world into an endless cycle of violence. Rather than improving the prospects for human rights and democracy, it is destroying those goals. While the interventionist strategies have made huge fortunes for well-connected government contractors and well-placed speculators who profit off chaos, the neocons and their “human rights” buddies are creating a hell on earth for billions of others, spreading death and destitution. Take, for example, the beginnings of the Afghan War in the 1980s – after the Soviet Union invaded to protect a communist-led regime that had sought to pull Afghanistan out of the middle ages, including granting equal rights to women. The United States responded by encouraging Islamic fundamentalism and arming the barbaric mujahedeen. At the time, that was considered the smart play because Islamic fundamentalism was seen as a force that could counter atheistic communism. So, starting with the Carter administration but getting dramatically ramped up by the Reagan administration, the United States threw in its lot with the extremist Wahhabis of Saudi Arabia to invest billions of dollars in supporting these Islamist militants who included one wealthy Saudi named Osama bin Laden. By the end of the 1980s, the U.S.-Saudi “covert operation” had “succeeded” in driving the Soviet army out of Afghanistan with Kabul’s communist regime ultimately overthrown and replaced by the fundamentalist Taliban, who stripped women of their rights. The Taliban also provided safe haven for bin Laden and his al-Qaeda terrorist band, which – by the 1990s – had shifted its sights from Moscow to Washington and New York. Even though the Saudis officially broke with bin Laden after he declared his intentions to attack the United States, some wealthy Saudis and other Persian Gulf billionaires, who shared bin Laden’s violent form of Islamic fundamentalism, continued to fund him and his terrorists right up to – and beyond – al-Qaeda’s attacks on 9/11. By fall 2002, the idea of invading Iraq – and removing “monster” Saddam Hussein – was not just a neocon goal, it was embraced by nearly ever prominent “liberal interventionist” in the United States, including editors and columnists of the New Yorker, the New York Times and virtually every major news outlet. At this point, the “realists” were in near total eclipse, left to grumble futilely or grasp onto some remaining “relevance” by joining the pack, as Henry Kissinger did. The illegal U.S.-led invasion of Iraq also brushed aside the “legal internationalists” who believed that global agreements, especially prohibitions on aggressive war, were vital to building a less violent planet. In the rush to war in Iraq, the neocons and the liberal interventionists won hands down in 2002-2003 but ended up causing a bloodbath for the people of Iraq, with estimates of those killed ranging from hundreds of thousands to more than a million. But the U.S. invaders did more than that. They destabilized the entire Middle East by disturbing the fragile fault lines between Sunni and Shiite. With Sunni dictator Saddam Hussein ousted and hanged, Iraq’s vengeful Shiite politicians established their own authoritarian state under the military wing of the U.S. and British armies. Neocon hubris made matters worse when many former Sunni officials and officers were cashiered and marginalized, creating fertile ground for al-Qaeda to put down roots among Iraqi Sunnis, planting a particularly brutal strain nourished by Jordanian terrorist Abu Musab al-Zarqawi. Zarqawi’s Al-Qaeda in Iraq attracted thousands of foreign Sunni jihadists eager to fight both the Westerners and the Shiites. Others went to Yemen to join Al-Qaeda in the Arabian Peninsula. Trained in the brutal methods of these Iraqi and Yemeni insurgencies, hardened jihadists returned to their homes in Libya, Syria, Europe and elsewhere. Though the disaster in Iraq should have been a powerful cautionary tale, the neocons and the liberal interventionists proved to be much more adept at playing the political-propaganda games of Washington than in prevailing in the complex societies of the Middle East. Thus, Obama grudgingly was enlisted into the next neocon-liberal-interventionist crusades in 2011: the military intervention to overthrow Libya’s Muammar Gaddafi and the covert operation to remove Syria’s Bashar al-Assad. In both cases, the propaganda was ramped up again, presenting the opposition groups as “pro-democracy moderates” who were peacefully facing down brutal dictators. In reality, the oppositions were more a mixed bag of some actual moderates and Islamist extremists. When Gaddafi and Assad – emphasizing the presence of terrorists – struck back brutally, the “R2P” crowd demanded U.S. military intervention, either directly in Libya or indirectly in Syria. With the U.S. mainstream media onboard, nearly every occurrence was put through the propaganda filter that made the regimes all dark and the oppositions bathed in a rosy glow. But the chaos that followed Gaddafi’s death was not so funny, contributing to the killing of U.S. Ambassador Christopher Stevens and three other American diplomatic personnel in Benghazi on Sept. 11, 2012, and to the spreading of terrorism and violence across northern Africa. By July 2014, the U.S. and other Western nations had abandoned their embassies in Tripoli as all political order broke down. In Syria, which had long been near the top of the neocon/Israeli hit list for “regime change,” U.S., Western and Sunni support for another “moderate opposition” led to a civil war. Soon, what “moderates” there were blended into the ranks of Islamic extremists, either the Nusra Front, the al-Qaeda affiliate, or the Islamic State of Iraq and Syria or simply the Islamic State, which evolved from Zarqawi’s Al-Qaeda in Iraq, continuing Zarqawi’s hyper-brutality even after his death. But instead of looking for a realistic political solution, the neocons and the liberal interventionists insisted on a U.S. military intervention, either covertly by arming the opposition or overtly by mounting a Libyan-style bombing campaign to destroy Assad’s armed forces and open the gates of Damascus to the rebels. Under pressure from the likes of Ambassador Power and Secretary of State Clinton, Obama bowed to the demand to ship weapons to the rebels, although the CIA later discovered that many U.S. weapons ended up in extremist hands. Still, with Obama dragging his feet on a larger-scale commitment, the neocon/liberal-interventionist coalition saw a great chance to push Obama into a bombing campaign after a Sarin gas attack outside Damascus on Aug. 21, 2013. The war hawks and the U.S. media immediately blamed Assad despite doubts among some U.S. intelligence analysts who suspected a provocation by the rebels. Those doubts and Obama’s fear of an extremist victory led him to call off the planned bombing at the last minute, and he accepted a deal brokered by Russian President Vladimir Putin to arrange for Assad to surrender all Syria’s chemical weapons, while Assad continued to deny any role in the Sarin attack. The neocons and liberal interventionists were furious at both Obama and Putin. Alarmed about this “realist” Obama-Putin collaboration, the “anti-realists” turned to demonizing the Russian president and driving a wedge between him and Obama. The place to splinter that relationship turned out to be Ukraine, where neocon Assistant Secretary of State Nuland was perfectly positioned to push for the ouster of elected pro-Russian President Viktor Yanukovych. The Ukraine coup played out along another historic fault line, between European-oriented western Ukraine, where Adolf Hitler’s SS had gained significant support during World War II, and eastern Ukraine with its ethnic Russian population and close business ties to Russia. Yet, while the neocons and their liberal allies had “won” again, what did that winning mean for the people of Ukraine? Their country, already teetering on the status of failed state, slid into deeper economic chaos and civil war. With neo-Nazis and other extremists appointed to key national security positions, the new regime began lashing out at ethnic Russians who were resisting Yanukovych’s ouster. Crimea voted overwhelmingly to secede from Ukraine and rejoin Russia, a move that Western government’s denounced as an illegal “annexation” and the major U.S. media termed an “invasion,” although the Russian troops involved were already stationed in Crimea under an agreement to maintain the Russian naval base at Sevastopol. Ukraine’s eastern provinces also sought secession, prompting military clashes that inflicted some of the worst bloodshed seen on the European continent in decades. Thousands died and millions fled. Of course, the standard line in the U.S. media was that it was all Putin’s fault, even as the Kiev regime shelled eastern cities and unleashed brutal neo-Nazi militias to engage in street fighting, the first time storm troopers emblazoned with Nazi insignias had been deployed in Europe since World War II. Yet, buoyed by how easily the anti-Putin propaganda had prevailed, some neocons even began fantasizing about “regime change” in Moscow. Yet, if you were to step back for a minute and look at the history of the past 35 years – from the Afghan covert op through the Iraq War and the U.S. interventions in Libya, Syria, Ukraine and elsewhere – what you would see is the neocons and their liberal sidekicks behaving like the Sorcerer’s Apprentice, stirring up troubles that soon spun out of control. Just look at the chaos that has been unleashed by these reckless neocon and liberal interventionist policies – from encouraging the rise of Islamic fundamentalism and facilitating the formation of al-Qaeda via the covert war in Afghanistan, from creating a hotbed for attracting and training jihadists during the Iraq War, from undermining regimes in Libya and Syria that – for all their faults – were trying to contain this spread of terrorism, and from provoking a new Cold War in Ukraine that risks bringing nuclear weapons into play in a showdown with Russia. The latest outgrowth of all this trouble was the terror attack in Paris this month, with some European hotheads now calling for another neocon favorite idea, “a war of civilizations,” pitting Christian societies against Islam in some modern version of the actual Crusades. Yes, I know we’re not supposed to talk about root causes of this chaos “at a time like this,” and we are surely not supposed to blame the neocons and their liberal interventionist chums. Instead, we’re supposed to escalate the conflicts and the chaos. As we gaze out upon this mad house built by the neocons, we are witnessing on a grand scale the old adage about the inmates running the asylum, except that this asylum possesses the world’s most sophisticated weapons including a massive nuclear arsenal. What the neocons have constructed through their skilled propaganda is a grim wonderland where no one foresees the dangers of encouraging Islamist fundamentalism as a geopolitical ploy, where no one takes heed of the historic hatreds of Sunni and Shiite, where no one suspects that the U.S. military slaughtering thousands upon thousands of Muslims might provoke a backlash, where no one thinks about the consequences of overthrowing regimes in unstable regions, where no one bothers to study the bitter history of a place like Ukraine, and where no one worries about spreading turmoil to nuclear-armed Russia. Yet, this neocon madness – this “anti-realism” – has been playing out in the real world on a grand scale, destroying real lives and endangering the real future of the planet. Inmates work eight hours per day for major corporations such as Chevron, Motorola, Nordstrom’s and Target, yet only have the possibility of making up $1.25 an hour. In addition, companies that provide services like phone calls overcharge prisoners on even the most basic services, making hundreds of millions in profits annually. For-profit prisons have created a “neo-slavery” in the US, according to award-winning journalist Chris Hedges. In May of 2014, financial firm Credit Suisse AG pled guilty to serious criminal charges. The giant bank aided and assisted approximately 22,000 wealthy U.S. taxpayers (whose names Credit Suisse AG escaped having to send to the Justice Department for law enforcement) for over a decade in filing false income tax returns and other documents with the Internal Revenue Service (IRS). These elaborate illegal acts over many years are quite revealing. They show a deliberate willingness by Credit Suisse AG officials to knowingly engage in profitable activities that defrauded the United States Treasury and burdened honest taxpayers. Credit Suisse paid a $2.6 billion fine—small compared to the size of the crimes and the company’s large revenues. These crimes were yet another sordid chapter in the ever-burgeoning tax-evading business that makes its waves with wealthy Americans and massive corporate entities. But the Credit Suisse story does not end there. The Employee Retirement Income Security Act of 1974, or ERISA, was enacted to protect the retirement savings of retirement plan participants. The law, in theory, automatically disqualifies institutions like Credit Suisse AG who have committed serious crimes or pled guilty to serious crimes from serving as a “qualified professional asset manager” (QPAM) of ERISA assets or pension plans. Unfortunately, the Department of Labor has not adequately enforced this law or its regulations in this area. Since waivers started being granted in 1997, 23 culpable firms have been granted exemptions from this disqualification rule and been allowed to continue their business of advising pension and other investment funds. Six of these waivers were granted to QPAMs that, like Credit Suisse AG, violated serious laws either in the United States or abroad. Remarkably, no waivers formally demanded by their corporate law firms have been rejected. The Department of Labor (DOL) already has granted Credit Suisse a temporary waiver to continue conducting their pension management business. On January 15th, the DOL held a public hearing—where I testified— to discuss whether Credit Suisse and its affiliates can continue this troubling trend of avoiding the consequences of their actions indefinitely. Credit Suisse AG is hoping to completely sidestep the mechanisms of justice for their admittedly serious crimes and carry on business as usual—a result that in itself is, unfortunately, business as usual. Is it not astounding to think a company, which knowingly engaged in such illegal activities, would not be deterred from engaging in activities that could be harmful to retirees as well? Firms that engage in criminal activity should face real consequences. Where those consequences are excused, the firm is invited to become a repeat offender; and the deterrence effect for other firms is nullified. Pension fund beneficiaries are especially vulnerable to Wall Street abuse because their savings may be managed by firms they do not even choose, let alone control. As overseer of the nation’s ERISA-governed funds, the Department of Labor bears the heavy responsibility of policing the integrity of the pension fund management industry. The DOL must apply all its tools to achieve this lofty goal. They should be used, not routinely discarded. This routine ability to evade proper punishment is the root of the issue of so much corporate and Wall Street crime—a slap on the wrist leads to a perpetual cycle of wrongdoing with no end in sight. Their corporate lawyers turn laws into “no-law” laws. Corporate crime pays. The idea that you would actually permit big ticket tax dodgers to walk off of the stage with a slap on the wrist — like the proposed [Credit] Swiss settlement — or that you would let companies like Apple and Microsoft, General Electric and Google — shift their most valuable corporate assets to places where they have almost no activity and evade corporate income taxes at a time when we are slashing aid to kids in schools, money for seniors — this is outrageous. The Department of Labor, which exists to defend workers, now has a unique opportunity to stand proudly at its post and to send a clear message—a firm signal—to other Qualified Professional Asset Managers that if they commit unthinkable criminal violations, they lose the ability to handle pension funds. On the other hand, allowing these institutions to continue to receive permanent waivers would be a clear signal that the DOL will tolerate cutting corners and criminal wrongdoing by powerful financial institutions at the expense of workers, complying taxpayers, democracy, and the rule of law. Now is the time for advocates and citizens alike to speak out strongly against this manner of blatantly averting justice and fostering a culture of continual corporate criminality. Contact the Office of Exemption Determinations at the Department of Labor and let them know. Ralph Nader is a leading consumer advocate, the author of Unstoppable: The Emerging Left-Right Alliance to Dismantle the Corporate State (2014), among many other books, and a four-time candidate for US President. Read other articles by Ralph, or visit Ralph's website. The French so-called satirical magazine Charlie Hebdo – more accurately a hate-inciting, racist rag - has published its first post-massacre edition this week, with print sales going through the roof. Which just goes to prove the hoary old showbiz observation that “dying can be a good career move.” That dictum describes how washed-up artists and other celebrities are often rescued from obscurity following their death, with sales of old records or biographies benefiting from a surge in renewed public interest. The same would appear to be true for the previously obscure French political weekly magazine where 12 people, including senior editorial staff, were shot dead last week allegedly by gunmen claiming to be affiliated with the Al Qaeda/Takfiri terrorist network. The remaining staff at the Paris-based publication have this week produced an edition despite the trauma of the past seven days. But instead of the usual 60,000 copies, the publication has hit a record print run of 3 million. Some Paris news agents were reportedly sold out within minutes of opening. Online editions have also been translated into several languages in addition to the normal French version. And the magazine has reportedly been inundated with new subscriptions and donations from around the world amounting to over $1 million. Moreover, French newspapers and other international media have reprinted the front page of the magazine, although many major outlets, including American news channels CNN and ABC, as well as the New York Times, declined to print it (more on that in a moment). So, from a financially struggling magazine that catered for a minority of readers, many of whom were reactionary bigots, Charlie Hebdo has become an international sensation. On the back of its slain cartoonists, the publication can look forward to lucrative sales and a global readership. A good career move indeed. And presumably that cynical conclusion won’t be objected to by our Western satirists given their supposed commitment to freedom of expression. The stellar outcome for the French hate-rag is unfortunate. That’s because this magazine is not the paragon of free speech and intelligent political satire that has been made out by Western governments and the mainstream media since the killings last week by two gunmen, who by the way were well known to French state security services for their terror links. Charlie Hebdo is more accurately described as a publication that excels in inciting hatred and dehumanizing stereotypes of Muslims in particular. Apologists for the rag, claim that it is an “equal opportunity” exponent of satire, ridiculing all political and religious organisations. That is not true. A review of its past contents show that the publication is not the fearless champion of free speech that all the weeping millions of “Nous Sommes Charlie” supporters would have us and themselves believe. It has never, for example, given deserved criticism of Western-sponsored Zionist terrorism towards Palestinian civilians, human rights defenders, medical aid workers and journalists. The magazine has abused the principle of free speech as a cynical cover to promote hate speech and in particular to foment prejudice against the Muslim population of France and Europe more generally. Muslims have become the most vulnerable community in Europe and around the world for persecution by Western state and non-state bigots. Over the past week, Muslim communities and places of worship have been attacked by mobs in Germany and France amid the climate of hatred that the likes of Charlie Hebdo and its state benefactors have been responsible for. The French government might claim this week that it is “at war with terrorism, not Islam.” But that is disgraceful cop-out of responsibility by the French authorities. All Western governments are responsible for fuelling a nefarious climate of Islamophobia and negative stereotyping of “Muslims as terrorists” over the past several years. It is absurd for these governments to try now to disclaim responsibility while they continue to bomb Muslim countries in a fictitious “war on terror” against extremist groups that Western states have created in the first place to advance their imperialist agendas. Added to this are Western state police powers directed towards the Muslim community and legions of unlawful imprisonments and other miscarriages of justice. The French government has not merely allowed the hate-inciting Charlie Hebdo to spew its anti-Muslim bigotry every week. By doing so gives the publication’s nauseating contents a tacit seal of official state approval. A privilege that is not extended to viewpoints that criticise Zionism, even though the latter is deserved and legitimate under principles of free speech. Astoundingly, over the past week, the Charlie Hebdo hate-rag has been transformed by the French authorities into some of kind of heroic standard bearer and model of Western democratic enlightenment. The names of its deceased cartoonists have been cited with honours and cherished like saintly figures. French national narcissism has gone into self-serving overdrive, and we are all supposed to murmur with touching respect. The French and international public are being manipulated as never before to rally behind dangerous reactionary anti-Muslim prejudices - and all this is presented as a virtue so beautiful that tears are to be shed! The latest edition of the hate-filled French magazine features on its front page yet another cartoon of the Prophet Mohammed (PBUH). As noted above, several Western mainstream media outlets have refused to re-print the cover, meekly saying that it may be “construed as provocative.” Provocative is an understatement. This rag has poisoned societies with its bigotry that has culminated in fuelling violence - violence that is felt mainly by Muslims. And yet shamelessly it peddles another gratuitous insult against Muslims and claiming it as a self-vindication. As ever, the Muslim world is responding with restraint and dignity to the latest vile conduct by Western so-called free-speech secularism. Finian Cunningham (born 1963) has written extensively on international affairs, with articles published in several languages. He is a Master’s graduate in Agricultural Chemistry and worked as a scientific editor for the Royal Society of Chemistry, Cambridge, England, before pursuing a career in newspaper journalism. He is also a musician and songwriter. For nearly 20 years, he worked as an editor and writer in major news media organisations, including The Mirror, Irish Times and Independent. Originally from Belfast, Ireland, he is now located in East Africa working as a freelance columnist for Press TV and Strategic Culture Foundation (Moscow). 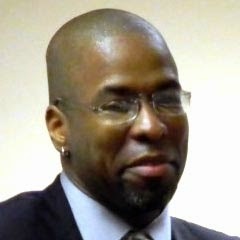 When the trial of former CIA officer Jeffrey Sterling got underway Tuesday in Northern Virginia, prospective jurors made routine references to “three-letter agencies” and alphabet-soup categories of security clearances. In an area where vast partnerships between intelligence agencies and private contractors saturate everyday life, the jury pool was bound to please the prosecution. From what I could tell, none of those with direct connections to intelligence agencies ended up in the jury box. But affinities with agencies like the CIA seemed implicit in the courtroom. Throughout the jury selection, there was scarcely a hint that activities of those agencies might merit disapproval. Just how familiar was the jury pool with critiques of the CIA? Hard to say, but here’s one indicator: When Brinkema asked for a show of hands among the prospective jurors — nearly 100 in the room — to indicate how many had read James Risen’s bestselling book State of War: The Secret History of the CIA and the Bush Administration, a grand total of zero hands went up. That book, with its tough investigative reporting that exposed malfeasance, incompetence, cruelty and mendacity in the CIA’s leadership, is at the core of the case against Sterling. He’s charged with giving the author classified information — about the CIA’s Operation Merlin, a dangerous maneuver that provided flawed nuclear weapon blueprints to the Iranian government in 2000. The Obama Justice Department’s theory of the case is that Sterling became vengeful against the agency when he failed to win a legal complaint against it for racial discrimination. A lot of smoke will be blowing through the U.S. District Court in Alexandria during the next few weeks. The Obama administration remains in overdrive, tanked up to send Jeffrey Sterling to prison for a long time. The CIA hierarchy, now operating with enormous impunity, is clearly eager to see him punished in a big way. Norman Solomon is the executive director of the Institute for Public Accuracy and the author of War Made Easy: How Presidents and Pundits Keep Spinning Us to Death. He is a co-founder of RootsAction.org. This article was originally published at ExposeFacts.org. The war you’re heading into has been going on for a remarkably long time. Imagine this: you were five years old when I was first deployed to Afghanistan in 2002. Now I’m graying a bit, losing a little up top, and I have a family. Believe me, it goes faster than you expect. Once you get to a certain age, you can’t help thinking about the decisions you made (or that, in a sense, were made for you) when you were younger. I do that and someday you will, too. About a year ago, I hit the road for a couple of months. I went to Albany and Albuquerque, Berkeley and Boston, Chapel Hill and Chicago, Seattle and Schenectady. I wasn’t reporting. I wasn’t writing. I sure wasn’t vacationing. No, I was out on a book tour in support of the paperback edition of my book Kill Anything That Moves: The Real American War in Vietnam. I went to colleges and universities, bookstores and radio stations, churches, a writer’s institute, and even a senior center. I spoke in classrooms and hotel conference centers, auditoriums and theaters, before students and retirees, to veterans and life-long civilians. After offering a brief overview of my decade-plus journey into the subject of American war crimes in Vietnam, I would open the floor to questions, and that generally lasted as long as the powers that be allowed. Once, it went on for almost two hours. People would ask about my discovery of long-secret U.S. investigations into atrocities in Vietnam, or what it was like tracking down survivors there, or what Vietnamese thought of Americans all these years later, or how American boys could do such horrendous things. I’d often answer that last one by talking about command policies -- free-fire zones, lax rules of engagement, the body count -- that made it inevitable that large numbers of innocent Vietnamese would be killed. But that’s not what people really wanted to know. They wanted to know what I learned looking into the eyes of mass murderers, what insights I gleaned by talking to torturers. They wanted to know what makes a man kill a defenseless woman he’s never laid eyes on before. Or gun down a child. Or mow down the elderly in a hail of gunfire. How could seemingly ordinary American men commit such extraordinarily horrific acts? There is, in fact, no easy answer to any of those questions. The best I could do was offer a few insights about an environment that made such acts possible. Sometimes, I mentioned the racism that suffused the military from a soldier’s first days of basic training through his 12 months in Vietnam. Sometimes, I might have talked about the bloodthirsty ethos -- the chants of “kill, kill, kill” -- in which they were immersed during boot camp. In the end, I would often offer a caveat: that those troops were often little more than boys, that they were naïve and politically unsophisticated, that they were thrown into a dangerous environment in which they expected bullets to start flying at any moment, that they were sent out to act as bait for enemy forces. Then someone would almost invariably ask: Haven’t things changed since the Vietnam era? It’s not the same for today’s troops, right? And I’d stand there and try to figure out how, exactly, to answer that one. All of this came back to me as I read the latest piece by TomDispatch regular Rory Fanning, author of Worth Fighting For: An Army Ranger’s Journey Out of the Military and Across America. It's a letter from a Ranger of the first post-9/11 war to a Ranger from the next one, a deeply personal note in which he mentions the racism that suffused his training, the bloodthirsty ethos in which he was immersed, his youth and naïveté. You get the picture. Reflecting on my own years in the 75th Ranger regiment, at a moment when the war you’ll find yourself immersed in was just beginning, I’ve tried to jot down a few of the things they don’t tell you at the recruiting office or in the pro-military Hollywood movies that may have influenced your decision to join. Maybe my experience will give you a perspective you haven’t considered. I imagine you’re entering the military for the same reason just about everyone volunteers: it felt like your only option. Maybe it was money, or a judge, or a need for a rite of passage, or the end of athletic stardom. Maybe you still believe that the U.S. is fighting for freedom and democracy around the world and in existential danger from “the terrorists.” Maybe it seems like the only reasonable thing to do: defend our country against terrorism. The media has been a powerful propaganda tool when it comes to promoting that image, despite the fact that, as a civilian, you were more likely to be killed by a toddler than a terrorist. I trust you don’t want regrets when you’re older and that you commendably want to do something meaningful with your life. I’m sure you hope to be the best at something. That’s why you signed up to be a Ranger. Make no mistake: whatever the news may say about the changing cast of characters the U.S. is fighting and the changing motivations behind the changing names of our military “operations” around the world, you and I will have fought in the same war. It’s hard to believe that you will be taking us into the 14th year of the Global War on Terror (whatever they may be calling it now). I wonder which one of the 668 U.S. military bases worldwide you’ll be sent to. In its basics, our global war is less complicated to understand than you might think, despite the difficult-to-keep-track-of enemies you will be sent after -- whether al-Qaeda (“central,” al-Qaeda in the Arabian Peninsula, in the Magreb, etc. ), or the Taliban, or al-Shabab in Somalia, or ISIS (aka ISIL, or the Islamic State), or Iran, or the al-Nusra Front, or Bashar al-Assad’s regime in Syria. Admittedly, it’s a little hard to keep a reasonable scorecard. Are the Shia or the Sunnis our allies? Is it Islam we’re at war with? Are we against ISIS or the Assad regime or both of them? Just who these groups are matters, but there’s an underlying point that it’s been too easy to overlook in recent years: ever since this country’s first Afghan War in the 1980s (that spurred the formation of the original al-Qaeda), our foreign and military policies have played a crucial role in creating those you will be sent to fight. Once you are in one of the three battalions of the 75th Ranger Regiment, the chain-of-command will do its best to reduce global politics and the long-term good of the planet to the smallest of matters and replace them with the largest of tasks: boot polishing, perfectly made beds, tight shot groupings at the firing range, and your bonds with the Rangers to your right and left. In such circumstances, it’s difficult -- I know that well -- but not impossible to keep in mind that your actions in the military involve far more than whatever’s in front of you or in your gun sights at any given moment. Our military operations around the world -- and soon that will mean you -- have produced all kinds of blowback. Thought about a certain way, I was being sent out in 2002 to respond to the blowback created by the first Afghan War and you’re about to be sent out to deal with the blowback created by my version of the second one. I’m writing this letter in the hope that offering you a little of my own story might help frame the bigger picture for you. Let me start with my first day “on the job.” I remember dropping my canvas duffle bag at the foot of my bunk in Charlie Company, and almost immediately being called into my platoon sergeant's office. I sprinted down a well-buffed hallway, shadowed by the platoon’s “mascot”: a Grim-Reaper-style figure with the battalion’s red and black scroll beneath it. It hovered like something you’d see in a haunted house on the cinder block wall adjoining the sergeant’s office. It seemed to be watching me as I snapped to attention in his doorway, beads of sweat on my forehead. “At ease... Why are you here, Fanning? Why do you think you should be a Ranger?” All this he said with an air of suspicion. Shaken, after being screamed out of a bus with all my gear, across an expansive lawn in front of the company’s barracks, and up three flights of stairs to my new home, I responded hesitantly, “Umm, I want to help prevent another 9/11, First Sergeant.” It must have sounded almost like a question. He dropped his head and started filling out a form. “We’re done here,” he said without even bothering to look up again. The platoon sergeant’s answer had a distinct hint of lust in it but, surrounded by all those folders, he also looked to me like a bureaucrat. Surely such a question deserved something more than the few impersonal and sociopathic seconds I spent in that doorway. Nonetheless, I spun around and ran back to my bunk to unpack, not just my gear but also his disturbing answer to his own question and my sheepish, “Roger, First Sergeant!” reply. Until that moment, I hadn’t thought of killing in such an intimate way. I had indeed signed on with the idea of preventing another 9/11. Killing was still an abstract idea to me, something I didn’t look forward to. He undoubtedly knew this. So what was he doing? As you head into your new life, let me try to unpack his answer and my experience as a Ranger for you. Let’s start that unpacking process with racism: That was the first and one of the last times I heard the word “enemy” in battalion. The usual word in my unit was “Hajji.” Now, Hajji is a word of honor among Muslims, referring to someone who has successfully completed a pilgrimage to the Holy Site of Mecca in Saudi Arabia. In the U.S. military, however, it was a slur that implied something so much bigger. The soldiers in my unit just assumed that the mission of the small band of people who took down the Twin Towers and put a hole in the Pentagon could be applied to any religious person among the more than 1.6 billion Muslims on this planet. The platoon sergeant would soon help usher me into group-blame mode with that “enemy.” I was to be taught instrumental aggression. The pain caused by 9/11 was to be tied to the everyday group dynamics of our unit. This is how they would get me to fight effectively. I was about to be cut off from my previous life and psychological manipulation of a radical sort would be involved. This is something you should prepare yourself for. When you start hearing the same type of language from your chain-of-command in its attempt to dehumanize the people you are off to fight, remember that 93% of all Muslims condemned the attacks on 9/11. And those who sympathized claimed they feared a U.S. occupation and cited political not religious reasons for their support. But, to be blunt, as George W. Bush said early on (and then never repeated), the war on terror was indeed imagined in the highest of places as a “crusade.” When I was in the Rangers, that was a given. The formula was simple enough: al-Qaeda and the Taliban represented all of Islam, which was our enemy. Now, in that group-blame game, ISIS, with its mini-terror state in Iraq and Syria, has taken over the role. Be clear again that nearly all Muslims reject its tactics. Even Sunnis in the region where ISIS is operating are increasingly rejecting the group. And it is those Sunnis who may indeed take down ISIS when the time is right. If you want to be true to yourself, don’t be swept up in the racism of the moment. Your job should be to end war, not perpetuate it. Never forget that. The second stop in that unpacking process should be poverty: After a few months, I was finally shipped off to Afghanistan. We landed in the middle of the night. As the doors on our C-5 opened, the smell of dust, clay, and old fruit rolled into the belly of that transport plane. I was expecting the bullets to start whizzing by me as I left it, but we were at Bagram Air Base, a largely secure place in 2002. Jump ahead two weeks and a three-hour helicopter ride and we were at our forward operating base. The morning after we arrived I noticed an Afghan woman pounding at the hard yellow dirt with a shovel, trying to dig up a gaunt little shrub just outside the stone walls of the base. Through the eye-slit of her burqa I could just catch a hint of her aged face. My unit took off from that base, marching along a road, hoping (I suspect) to stir up a little trouble. We were presenting ourselves as bait, but there were no bites. When we returned a few hours later, that woman was still digging and gathering firewood, undoubtedly to cook her family’s dinner that night. We had our grenade launchers, our M242 machine guns that fired 200 rounds a minute, our night-vision goggles, and plenty of food -- all vacuum-sealed and all of it tasting the same. We were so much better equipped to deal with the mountains of Afghanistan than that woman -- or so it seemed to us then. But it was, of course, her country, not ours, and its poverty, like that of so many places you may find yourself in, will, I assure you, be unlike anything you have ever seen. You will be part of the most technologically advanced military on Earth and you will be greeted by the poorest of the poor. Your weaponry in such an impoverished society will feel obscene on many levels. Personally, I felt like a bully much of my time in Afghanistan. Now, it’s the moment to unpack “the enemy”: Most of my time in Afghanistan was quiet and calm. Yes, rockets occasionally landed in our bases, but most of the Taliban had surrendered by the time I entered the country. I didn’t know it then, but as Anand Gopal has reported in his groundbreaking book, No Good Men Among the Living, our war on terror warriors weren’t satisfied with reports of the unconditional surrender of the Taliban. So units like mine were sent out looking for “the enemy.” Our job was to draw the Taliban -- or anyone really -- back into the fight. Believe me, it was ugly. We were often enough targeting innocent people based on bad intelligence and in some cases even seizing Afghans who had actually pledged allegiance to the U.S. mission. For many former Taliban members, it became an obvious choice: fight or starve, take up arms again or be randomly seized and possibly killed anyway. Eventually the Taliban did regroup and today they are resurgent. I know now that if our country’s leadership had truly had peace on its mind, it could have all been over in Afghanistan in early 2002. If you are shipped off to Iraq for our latest war there, remember that the Sunni population you will be targeting is reacting to a U.S.-backed Shia regime in Baghdad that’s done them dirty for years. ISIS exists to a significant degree because the largely secular members of Saddam Hussein’s Ba’ath party were labeled the enemy as they tried to surrender after the U.S. invasion of 2003. Many of them had the urge to be reincorporated into a functioning society, but no such luck; and then, of course, the key official the Bush administration sent to Baghdad simply disbanded Saddam Hussein’s army and tossed its 400,000 troops out onto the streets at a time of mass unemployment. It was a remarkable formula for creating resistance in another country where surrender wasn’t good enough. The Americans of that moment wanted to control Iraq (and its oil reserves). To this end, in 2006, they backed the Shia autocrat Nouri al-Maliki for prime minister in a situation where Shia militias were increasingly intent on ethnically cleansing the Sunni population of the Iraqi capital. Given the reign of terror that followed, it’s hardly surprising to find former Baathist army officers in key positions in ISIS and the Sunnis choosing that grim outfit as the lesser of the two evils in its world. Again, the enemy you are being shipped off to fight is, at least in part, a product of your chain-of-command’s meddling in a sovereign country. And remember that, whatever its grim acts, this enemy presents no existential threat to American security, at least so says Vice President Joe Biden. Let that sink in for a while and then ask yourself whether you really can take your marching orders seriously. Next, in that unpacking process, consider noncombatants: When unidentified Afghans would shoot at our tents with old Russian rocket launchers, we would guesstimate where the rockets had come from and then call in air strikes. You’re talking 500-pound bombs. And so civilians would die. Believe me, that’s really what’s at the heart of our ongoing war. Any American like you heading into a war zone in any of these years was likely to witness what we call “collateral damage.” That’s dead civilians. The number of non-combatants killed since 9/11 across the Greater Middle East in our ongoing war has been breathtaking and horrifying. Be prepared, when you fight, to take out more civilians than actual gun-toting or bomb-wielding “militants.” At the least, an estimated 174,000 civilians died violent deaths as a result of U.S. wars in Iraq, Afghanistan, and Pakistan between 2001 and April 2014. In Iraq, over 70% of those who died are estimated to have been civilians. So get ready to contend with needless deaths and think about all those who have lost friends and family members in these wars, and themselves are now scarred for life. A lot of people who once would never have thought about fighting any type of war or attacking Americans now entertain the idea. In other words, you will be perpetuating war, handing it off to the future. Finally, there’s freedom and democracy to unpack, if we’re really going to empty that duffel bag: Here’s an interesting fact that you might consider, if spreading freedom and democracy around the world was on your mind. Though records are incomplete on the subject, the police have killed something like 5,000 people in this country since 9/11 -- more, in other words, than the number of American soldiers killed by “insurgents” in the same period. In those same years, outfits like the Rangers and the rest of the U.S. military have killed countless numbers of people worldwide, targeting the poorest people on the planet. And are there fewer terrorists around? Does all this really make a lot of sense to you? When I signed up for the military, I was hoping to make a better world. Instead I helped make it more dangerous. I had recently graduated from college. I was also hoping that, in volunteering, I would get some of my student loans paid for. Like you, I was looking for practical help, but also for meaning. I wanted to do right by my family and my country. Looking back, it’s clear enough to me that my lack of knowledge about the actual mission we were undertaking betrayed me -- and you and us. I’m writing to you especially because I just want you to know that it’s not too late to change your mind. I did. I became a war resister after my second deployment in Afghanistan for all the reasons I mention above. I finally unpacked, so to speak. Leaving the military was one of the most difficult but rewarding experiences of my life. My own goal is to take what I learned in the military and bring it to high school and college students as a kind of counter-recruiter. There’s so much work to be done, given the 10,000 military recruiters in the U.S. working with an almost $700 million advertising budget. After all, kids do need to hear both sides. I hope this letter is a jumping off point for you. And if, by any chance, you haven’t signed that Option 40 contract yet, you don’t have to. You can be an effective counter-recruiter without being an ex-military guy. Young people across this country desperately need your energy, your desire to be the best, your pursuit of meaning. Don’t waste it in Iraq or Afghanistan or Yemen or Somalia or anywhere else the Global War on Terror is likely to send you. Rory Fanning, a TomDispatch regular, walked across the United States for the Pat Tillman Foundation in 2008-2009, following two deployments to Afghanistan with the 2nd Army Ranger Battalion. Fanning became a conscientious objector after his second tour. 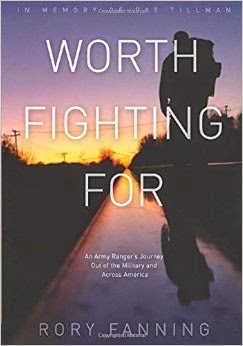 He is the author of Worth Fighting For: An Army Ranger’s Journey Out of the Military and Across America (Haymarket, 2014). Follow TomDispatch on Twitter and join us on Facebook. Check out the newest Dispatch Book, Rebecca Solnit's Men Explain Things to Me, and Tom Engelhardt's latest book, Shadow Government: Surveillance, Secret Wars, and a Global Security State in a Single-Superpower World.